Boat tours, and churches, and food courts! Oh my! At the southernmost tip of Manhattan is the Financial District, better known as “FiDi” to the locals. Despite its name, FiDi, isn’t merely home to banks and related financial services institutions. FiDi office space is increasingly attractive to an array of industries outside of finance, thanks to modest rents, a new transit hub and a revitalized World Trade Center. If you consider taking space in FiDi, you’ll be happy to know that the neighborhood offers plenty to employees by way of social, recreational activity and quality dining. Here’s a roundup of some of FiDi’s finest gems. 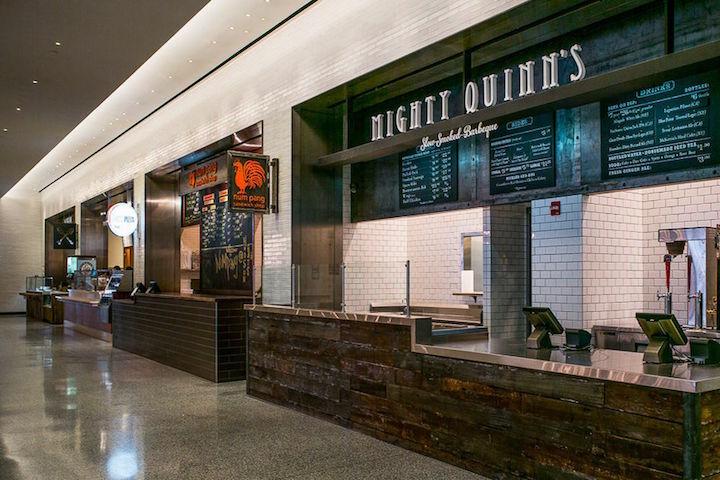 This 30,000 square-foot space in the Financial District is redefining the food court experience. With spectacular views of the Hudson River and even better food options from upscale eateries, we guarantee that, with Hudson Eats, you will never be at a loss of lunch options. Nearly twenty vendors offer an extensive range of options. We suggest trying a glazed pork belly sandwich with pickled Asian pear and chili mayo from the Num Pang sandwich shop, or Chopt, a premium chopped salad stand that allows customer to choose from over 60 fresh ingredients and 20 different homemade dressings. Located right off the coast of the Financial District is the iconic Statue of Liberty, as well as the equally impressive Ellis Island. Serving as symbolic pieces of our nation’s history, these distinct New York City features deserve to be admired and appreciated. 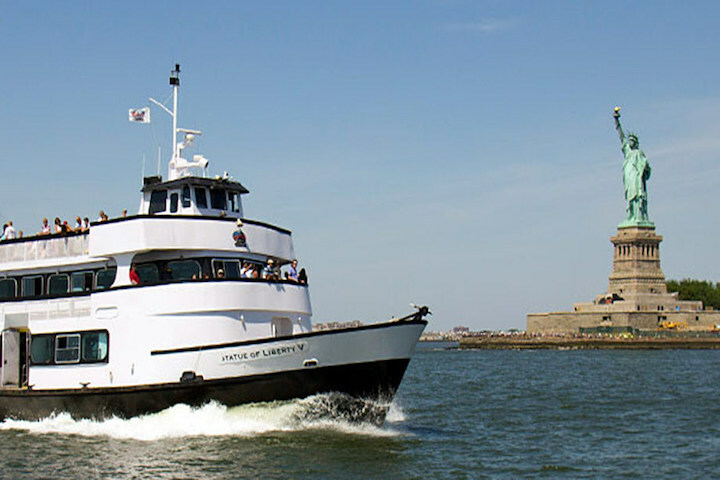 For a fun activity to do as a company, consider taking a Statue Cruise. The boats depart from Battery Park and give passengers an incredible tour of these picture-perfect New York City landmarks. Beyond the scenic aspect of the cruise, all tickets include an informative audio tour, ensuring that your company outing will be not only a fun experience, but an educational experience as well. With a sleek, yet unassuming, exterior, we wouldn’t be surprised if you’ve walked right by the Blue Spoon Coffee Company and straight over to the Starbucks across the street. Let us be the first to tell you, that was a big mistake. 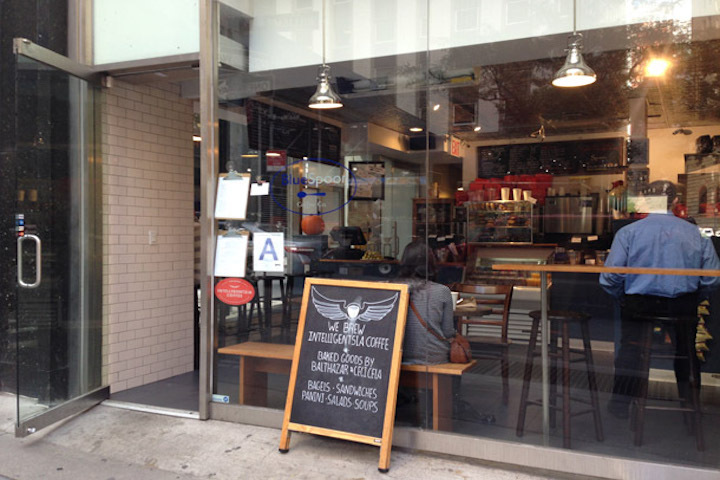 Blue Spoon Coffee Company offers some of the best coffee in the Financial District. The classic Almond Cappuccino is the perfect pick-me-up to grab during the morning commute, and the sweet and well-balanced Honey Lavender Latte is definitely a crowd favorite. Sending this coffee shop over the edge is their masterfully selected food options, which include fresh pastries from Balthazar and a Garden Salad that comes packed with hummus, leafy greens, chickpeas, red onion and other delectable veggie gems. Tucked away in a residential building in FiDi is this hidden gem. 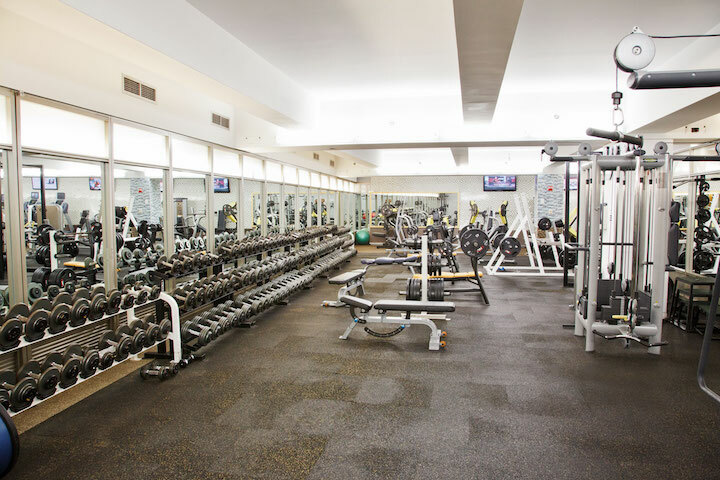 The never-crowded gym offers a range of perks including state-of-the-art fitness equipment, spa-like locker room conditions, free WiFi, and cross-training and group fitness studios. The personal trainers are all very friendly, highly certified, and take a genuine interest in helping you reach your personal goals. Whether you’re in the mood to join a class or work solo, CompleteBody gives you plenty of options to break a sweat. Stop by during your lunch hour if you find yourself pressed for time, or take advantage of the fact that the gym opens at the crack of dawn and closes late in the night. After your workout, be sure to refuel with a delicious drink from their in-studio juice bar! The Broad Street Ballroom is a stately and elegant event space that is sure to impress your guests with beautiful architecture and top-notch amenities. 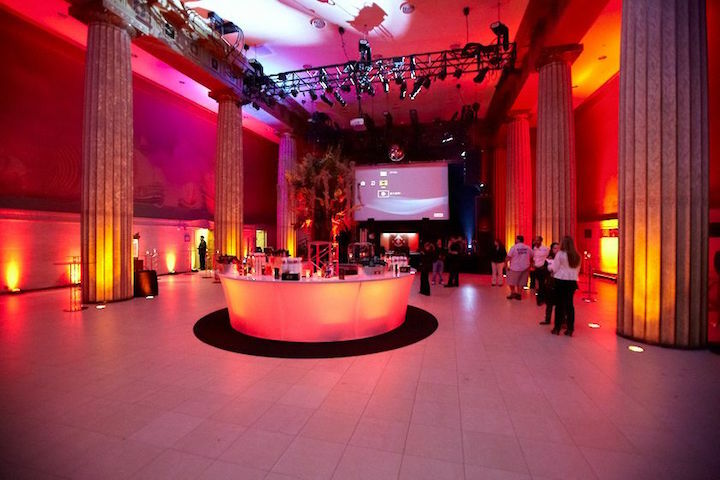 Featuring high ceilings, marble floors, and towering mosaic columns along the sides of the room, this space can easily be transformed to meet any event needs. The large and open hall has the capacity to hold from 300-500 people and is equipped with a stage that features Broadway-quality audio, video, and lighting systems. The hospitality staff is warm and accommodating and will make sure that you have everything you need to put on the event of your dreams. Instead of offering up just one happy hour haunt, why don’t we give you a whole area of places to check out? 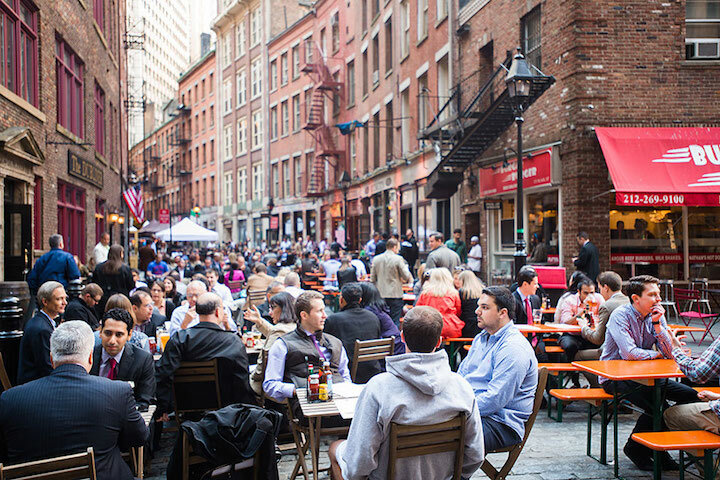 The Stone Street Historic District consists of four, pedestrian-only, cobblestone street in the Financial District. After work, the street’s restaurants become filled with a friendly happy hour crowd. During the warmer months, take advantage of the multiple outdoor seating areas for some prime people-watching. If you’re looking for something more specific, we suggest starting off your Stone Street happy hour experiences with Ulysses. Named after the famous Irish novel written by James Joyce, Ulysses serves up masterfully mixed cocktails and delicious food. Happy hour specials include $18.95 lobsters on Monday, and a pint of Guinness with half a dozen oysters for $12 on Wednesday! Seeing as though Central Park in nearly 75 blocks north of the Financial District, employees who find themselves on the south end of the island may think that they’d be hard-pressed to find a relaxing outdoor space to get some fresh air. We’re here to tell you that that is simply not the case. Comfortably situated at the southernmost tip of Manhattan is the beautiful Battery Park. Enjoy the scenic waterfront, including picture-perfect views of the Statue of Liberty. Likewise, the fragrant flower gardens throughout the park make the area a great place to simply wander through. For FiDi employees looking to take a quick break from the concrete jungle without actually leaving, there’s no place better than Battery Park. Currently taking the Broadway stage by storm as one of the greatest musicals of all time is the mega-hit, Hamilton. Unfortunately, the chances of scoring tickets to see Lin-Manuel Miranda’s theatrical masterpiece about the founding of our country, and more specifically the life of founding father Alexander Hamilton, are statistically similar to the chances of being born with 11 fingers or toes. 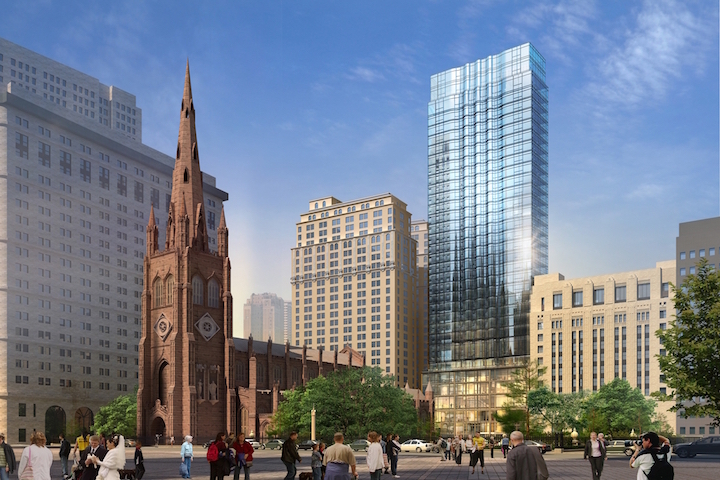 However, the historic Trinity Church, which is found at the intersection of Broadway and Wall Street, is arguably the next best thing. Many people are unaware that here is where you will find the resting places of many of the characters on which the play is based, including Elizabeth Schuyler Hamilton, Angelica Schuyler Church, Philip Hamilton, and even Alexander Hamilton himself. Stop by to pay your respects and take in a bit of history.